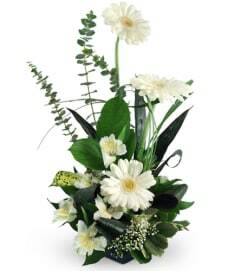 Send your heartfelt sympathies with this classically feminine yet modern sympathy spray. 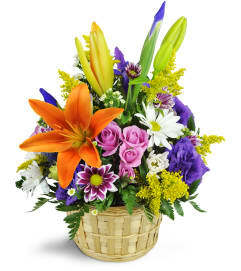 Distinctive in quality and design, this elegant funeral spray comforts with lavender tones reminiscent of the most beautiful sunset. Luxurious white Asiatic lilies are highlighted by deep purple gladiolus and lavender roses, expertly combined for a tasteful gift that is sure to be appreciated. 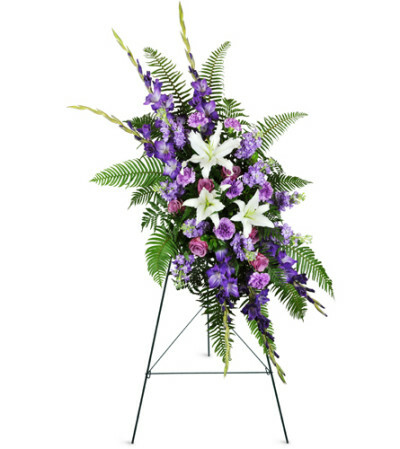 Highest quality white Asiatic lilies, purple gladiolus, lavender roses, purple carnations, stock, and sword fern greenery plumes are expertly arranged in a traditional funeral spray design that's appropriate for a funeral service or wake.